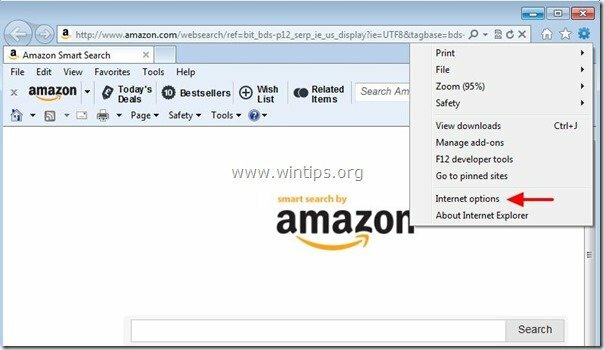 “Amazon Browser Toolbar” (by “Amazon.com”) was probably installed on your computer when you downloaded and installed other free software on it and upon installed, your homepage was changed to Amazon Websearch homepage (“amazon.com/websearch”) and your browser settings were replaced with Amazon’s search settings. 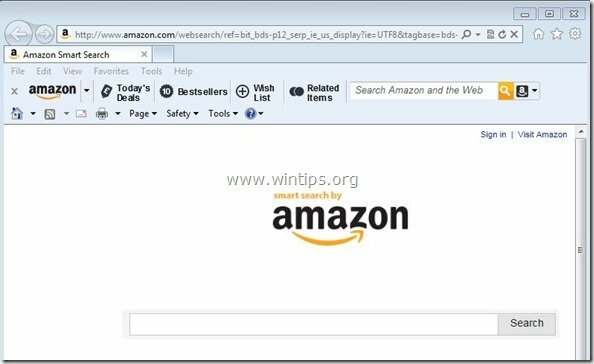 Technically, “Amazon Browser bar” is a browser hijacker because it modifies your search settings in order to perform browsing redirects and display advertisements from unknown publishers. You must be careful when you install free software on your computer so that you don"t accidentally install additional unwanted software or toolbars. Step 1. 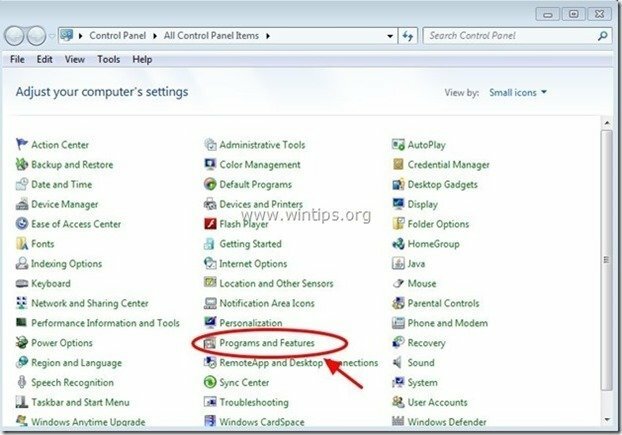 Uninstall "Amazon” software from your Windows Control panel. 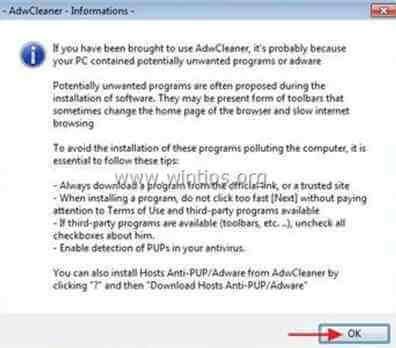 Step 2: Clean remaining Adware software using “AdwCleaner”. Step 3. Manually delete all “Amazon” files/folders. 2. Restart your computer and continue to Step 3. Step 4. Ensure that Amazon Browser toolbar & Amazon search settings don’t exist anymore on your internet browser. 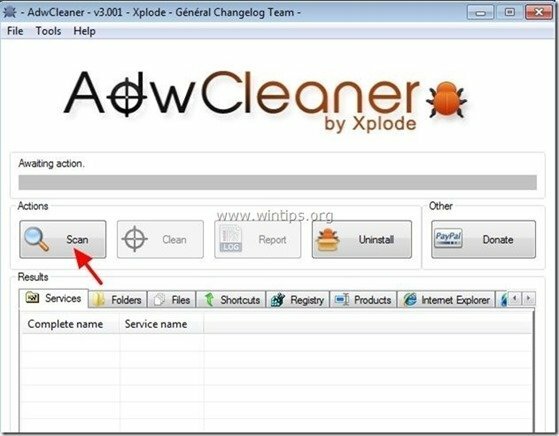 Usually, after performing the previous steps, your browser is clean. If you want to ensure that your browser is totally clean from Amazon search settings, then choose your browser from the list bellow and follow the detailed instructions. 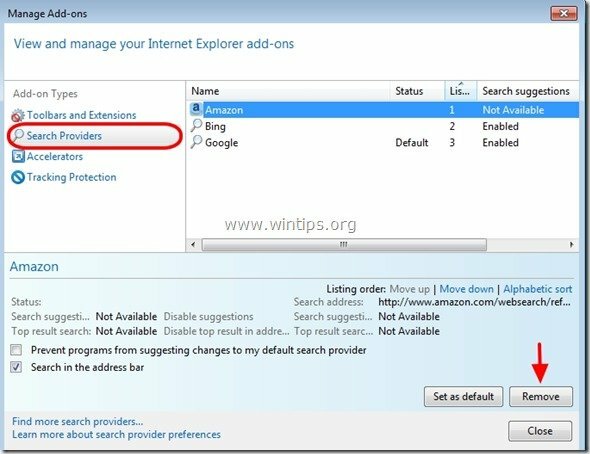 How to remove Amazon Search & Amazon toolbar from Internet Explorer. 4. On "Search Providers" options, choose and "Set as default" a search provider other than the unwanted search provider “Amazon”. 5. Then choose the unwanted search provider “Amazon” and click Remove. 6. Choose “Toolbars and Extensions” on the left pane and then select the unwanted Amazon Services (“Amazon Browser bar” & “AlxHelper Class”) & click "Disable"
How to remove Amazon Homepage, Amazon Search & Amazon toolbar from Google Chrome. 3. Delete the unwanted webpage "http://www.amazon.com/websearch/" from startup pages by pressing the "X" symbol on the right. 6. Delete the unwanted webpage “http://www.amazon.com/websearch/” entry from “Open this page” box. 7. Then choose the unwanted search engine “Amazon” and remove it by pressing the "X" symbol at the right. 9. Remove the unwanted “Amazon For Chrome” extension from here by pressing the “recycle icon” to the right. 10. 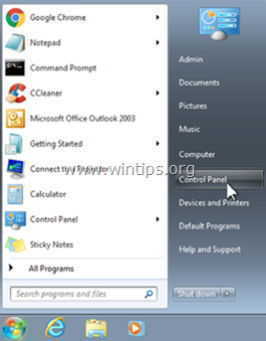 Close all Google Chrome windows and restart your browser. 11. Proceed to Step 5. 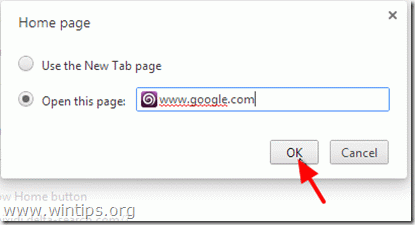 How to remove Amazon Homepage, Amazon Search & Amazon toolbar from Mozilla Firefox. 2. In “General” tab, delete the unwanted homepage: “http://www.amazon.com/websearch” page from “Home Page” box & type your preferred homepage (e.g. http://www.google.com). 4. 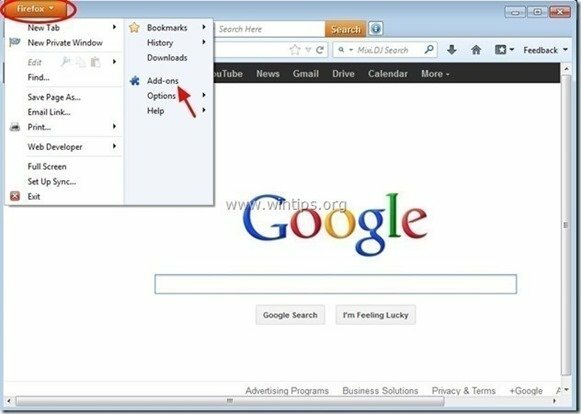 Choose “Extensions” on the left and then “Disable” the unwanted “Amazon Browser Bar” extension. 5. 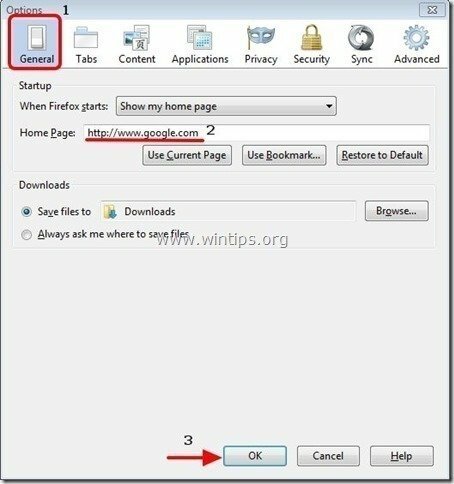 Close all Firefox windows and restart your browser. 6. Proceed to the next Step.